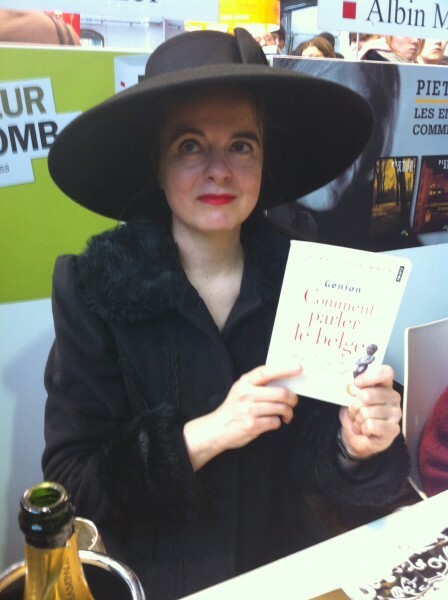 As a writer himself, S3 has got into contact with many people of the edition world, and amongst those, the famous belgian writer AMELIE NOTHOMB (20 best seller novels, some translated to english and other languages). Amélie is a fabulous personna, wearing huge hats, claiming she has the habit of eating almot-rotten fruits. She is strange in a fascinating way, fabulous and highly intelligent. As a part of their correspondance, S3 has sent Amélie the last album of nEGAPADRES.3.3. “La Phobie du Cheval” and Amélie has just answered saying she was impressed by the album, describing it as stupefying, like drugs ! She also said whe was very impressed. Merci pour “La Phobie du Cheval”. Titre superbe ! C’est une oeuvre stupéfiante ! Et je m’y connais, sinon en oeuvres, au moins en stupéfiants ! Bravo. This entry was posted in nEGAPADRES.3.3. on 2011-09-19 by SΔ3 eVETS.